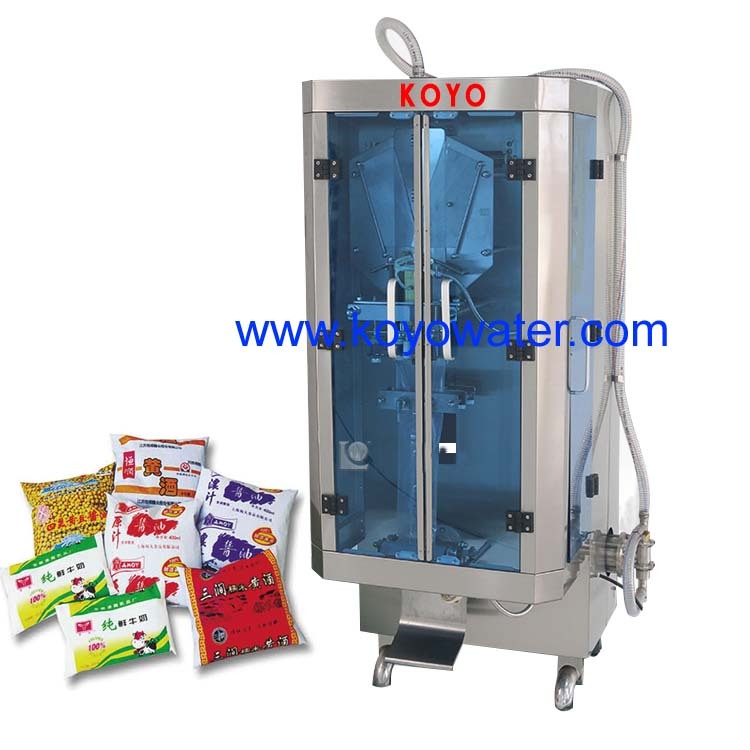 This Original Koyo sachet water produce line has passed the provincial appraisal and expertise, all the performance indexes reach the Chinese advanced level of similar products and won the gold prize for Patent Invention. 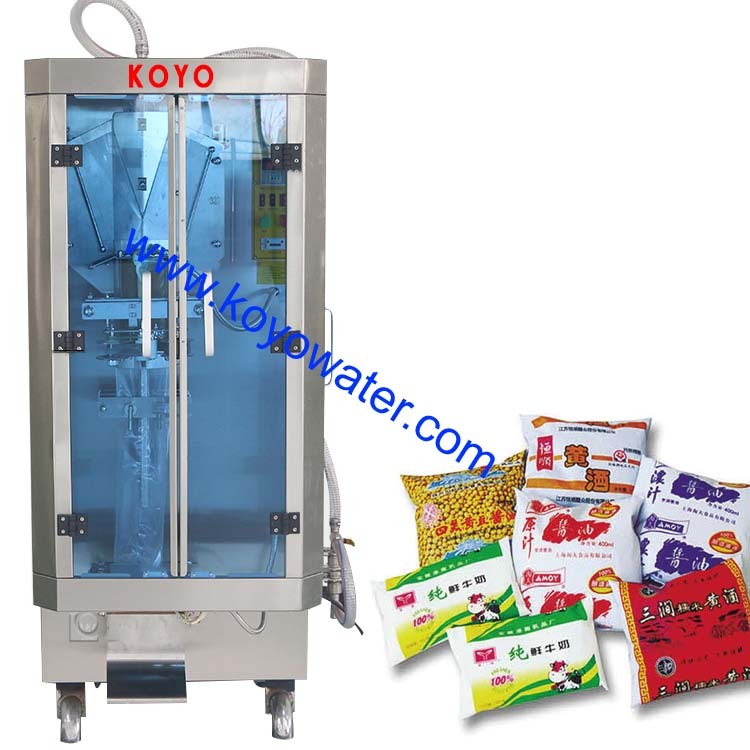 In 1995, it passed the test of the State Bureau of Quality and Technical Supervision and was rated as standard.This series has been long-tested and its performance enjoys a very high reputation .Up to now, we have owned more than 10000 users in china, they all reflect that this series is simple in operation and runs smoothly with low failure rate. 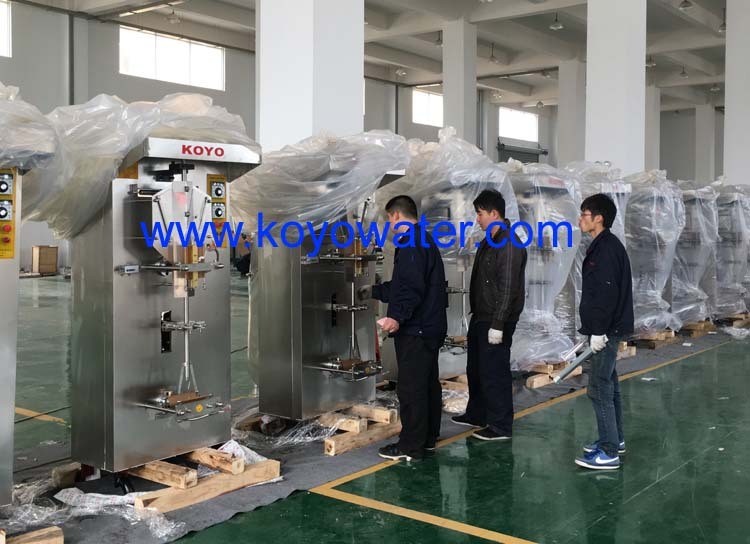 The percentage of certified products is greater than 99%. 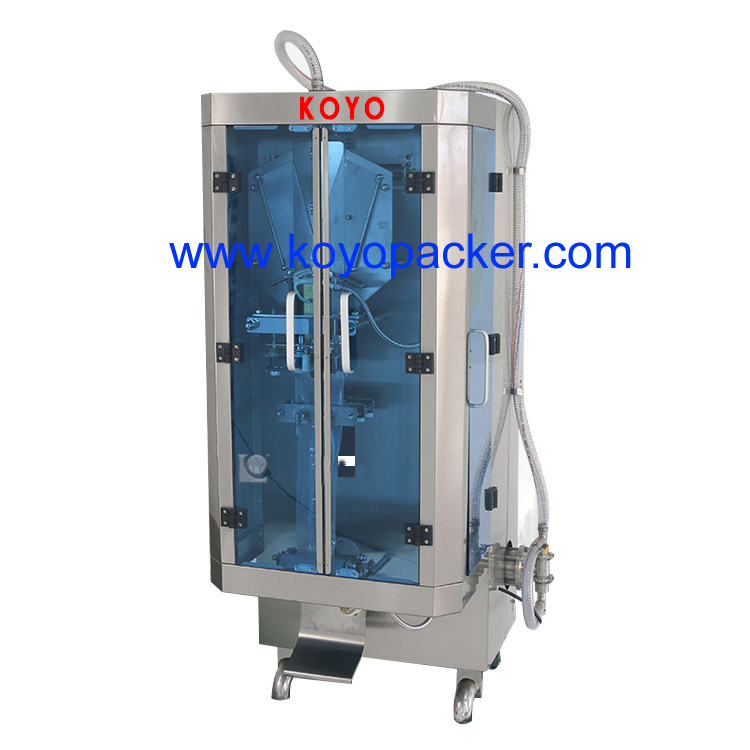 It is widely used for various kinds of liquid packing. 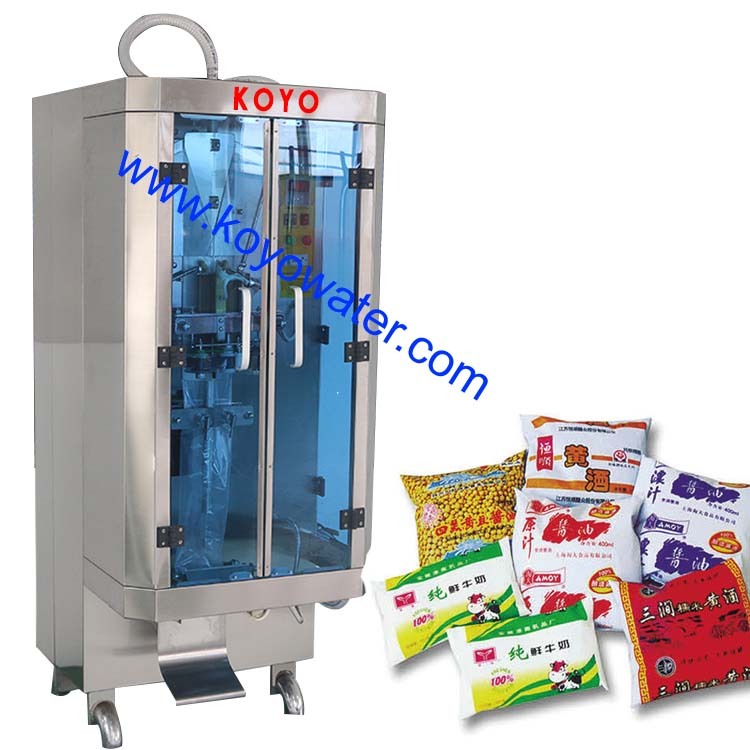 such as: milk, soya-milk, peanut milk, juice, drinks, ice bag drinks, soysauce, vinegar, yellow rice wine and beancurd, and etc. 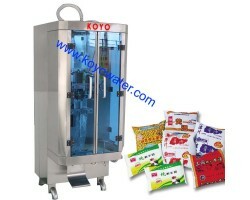 Use single-layer PE film or two-layer or three-laye.